Will another cowboy steal Jillian’s heart? Jillian Marsh knows what it’s like to tangle with a Texan all too well. She’s been cheated on and deserted by a rogue of a cowboy who should have known better. When the ink dries on their divorce settlement, all Jillian has to show for it is the deed to her late ex-father-in-law’s dilapidated horse ranch in a tiny tornado torn town. A Philadelphia real estate agent, Jillian makes her lovesick teen daughter, Danielle, a promise. They’ll travel from Philly to Texas, just long enough to flip the ranch and sell it. It’s the only way Jillian can pay for Dani’s return to the academy next term, the high school Dani’s boyfriend also attends. Jillian’s father, Emmett, an ageing contractor, gamely volunteers his expertise as the trio ventures southwest for the summer. No doubt, these city slickers will be fish out of water in that tiny Texas town. Jillian steels herself for the hard work renovating that turkey of a homestead will require. But what Jillian doesn’t count on is dealing with the squatters who have taken up residence on the spread, or the second chance at love that time on a Texas horse ranch could bring. Still smarting over her ex, Jillian is hardly ready to trust another man in a cowboy hat, much less get into a love triangle between two cowboys. But dashing land baron, Ray Hightower, isn’t shy about his romantic pursuit of her. Ray’s antithesis, Luke Taylor, isn’t as quick to stake a claim, but something about the mild-mannered horse ranch farmer quietly competes for Jillian’s affections. With the Texas moonlight conspiring against her, it’ll be all Jillian can do to keep her promise to Dani that they’ll return to Philly by fall. When love comes calling the second time around, will Jillian be able to bridle her heart? Susan Rohrer is a graduate of James Madison University where she studied Art and Communications, and thereafter married in her native state of Virginia. A professional writer, producer, and director specializing in family-friendly entertainment, Rohrer’s credits in one or more of these capacities include: an adaptation of ‘God’s Trombones’; 100 episodes of drama series ‘Another Life’; Humanitas Prize finalist & Emmy winner ‘Never Say Goodbye’; Emmy nominees ‘Terrible Things My Mother Told Me’ and ‘The Emancipation of Lizzie Stern’; anthology ‘No Earthly Reason’; NAACP Image Award nominee ‘Mother’s Day’; AWRT Public Service Award winner (for addressing the problem of teen sexual harassment) ‘Sexual Considerations’; comedy series ‘Sweet Valley High’; telefilms ‘Book of Days’ and ‘Another Pretty Face’; Emmy nominee & Humanitas Prize finalist ‘If I Die Before I Wake’; as well as Film Advisory Board & Christopher Award winner ‘About Sarah’. 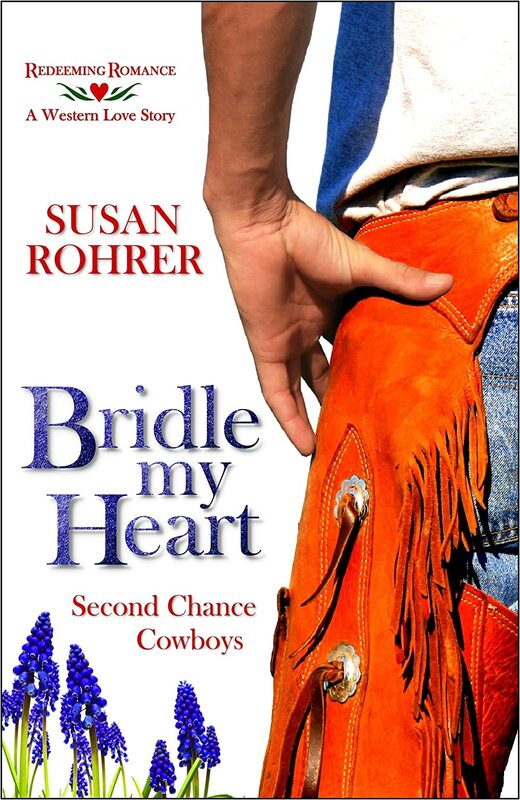 In addition to authoring three inspirational nonfiction books, Rohrer is also the author of four novels in the Redeeming Romance Series, an anthology of inspirational romances: Merry’s Christmas, Virtually Mine, Bright Christmas: An Amish Love Story, What Laurel Sees, and Bridle My Heart: Second Chance Cowboys.